Yacht or Boat? : What’s the difference? Yacht, Ship, or Boat – which is it? The English language is full of this kind of intriguing conundrum. Definitions of words like yacht, boat, or ship aren’t always sufficiently indicative of which is appropriate and when. The result is that most of us develop and use our own (unspoken) rules within our boating communities or, when the rules don’t apply, we just wing it! 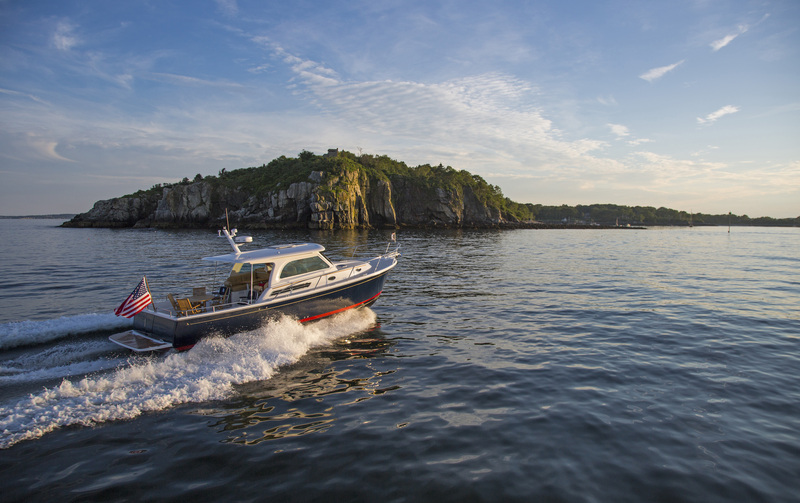 If ‘winging it’ isn’t your style, or you’re new to the boating community, we have some guidelines to help you along the way to nautical fluency. I don’t think anybody would argue that ‘yacht’ connotates something fancier than a boat or a ship. Interestingly enough, outside of the United States, ‘yacht’ generally refers to a sailboat unless specifically called a motor yacht. Unhelpfully, those of us in the US still have to contend with the power/sail question, and ‘boat’ is still used interchangeably. Back Cove and our sister company Sabre refer to our products as ‘yachts,’ (if that wasn’t already obvious). We craft personal luxury vessels designed for recreation, relaxation, and comfort, so yacht certainly seems the most appropriate. Most associate ‘ship’ with something larger than a boat, and less recreational than a yacht. In short, a “working” vessel. One person pointed out to me that a ship generally needs a full crew, while a yacht sometimes doesn’t, and a boat almost never does. For example, a 200-foot cargo ship (or mega-yacht) almost certainly requires a crew, but an experienced team of two can safely and masterfully handle any Back Cove or Sabre yacht. Meanwhile, if we consider the rowboat, a single person could well manage on their own – with a little practice. Defining ‘boat’ seems to be stickier than ‘yacht’ or ‘ship.’ We hear many captains referring to their ‘boat,’ irrespective of size, function, or fit-and-finish. 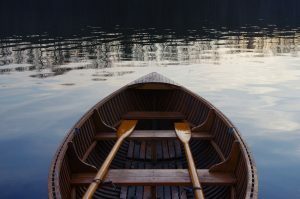 Short of being deliberately confusing, it seems as though the word boat has become a colloquialism, pet phrase, or slang term for any floating object more complicated than a raft. So, setting slang aside, the rest shakes out pretty cleanly. A boat can be used for recreation or pleasure but is generally smaller than either a ship or a yacht, and with fewer amenities. Boats tend to be powered either by small engines, or elbow-grease (again, think rowboat). As we mentioned above, everybody has their own ‘rules.’ Moreover, the plasticity of language means that any guidelines have a substantial amount of grey area. So always be aware of those familiar with the vessel in question. If you are invited out on ‘the boat,’ it’s safe to say that is an acceptable term. If a captain or owner refers to their vessel as a ‘yacht,’ then use yacht. When in Rome, do as the Romans do! There is one bit of unequivocally good news in all this confusion – when it’s yours, you can call it whatever you like! PS – Do you find any other nautical terms confusing or unclear? Let us know in the comments! This entry was posted in Back Cove Yachts Blog. Bookmark the permalink. 13 Responses to Yacht or Boat? : What’s the difference? The modern line drawn between the two is typically relative to the fit and finish of both the exterior and interior of a vessel. The fairness and finish quality of the surfaces, the quality of the materials and equipment, and the overall attention to detail need to be exemplary in order to warrant the term “yacht”; the size and/or price of the vessel take a back seat to these qualities. Also – just as importantly – a true and proper yacht exists to provide a means of recreation for the Owner,and must not be engaged in commerce of any kind. That line is really blurred when considering “megayachts” that are essentially finely finished charter boats upon which the Owner spends very little time. In simplistic terms, a yacht does not have a capacity plate for persons and gear. It is quite typical that a yacht is built to be superior to a boat and given a choice most prefer a yacht vs boat. This is not true, I drive a 30 foot Rinker. 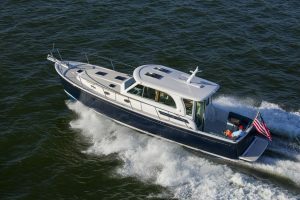 IT has twin inboard engines and has a Capacity plate with the words YACHT. What length boat is considered a yacht? Yacht lengths normally range from 7 metres (23 ft) up to dozens of meters (hundreds of feet). A luxury craft smaller than 12 metres (39 ft) is more commonly called a cabin cruiser or simply a cruiser. If you have to ask, its not a yacht. My understanding is a boat becomes a yacht when it’s able to become a live-aboard. Full galley, sleeping quarters, etc. 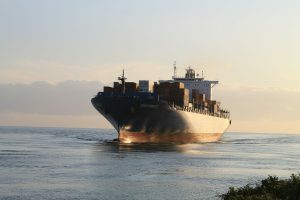 A ship is one used primarly for commercial purposes. If it doesn’t have a sail, it’s not a yacht. I was told a boat over 35 feet long can be called a yaght.